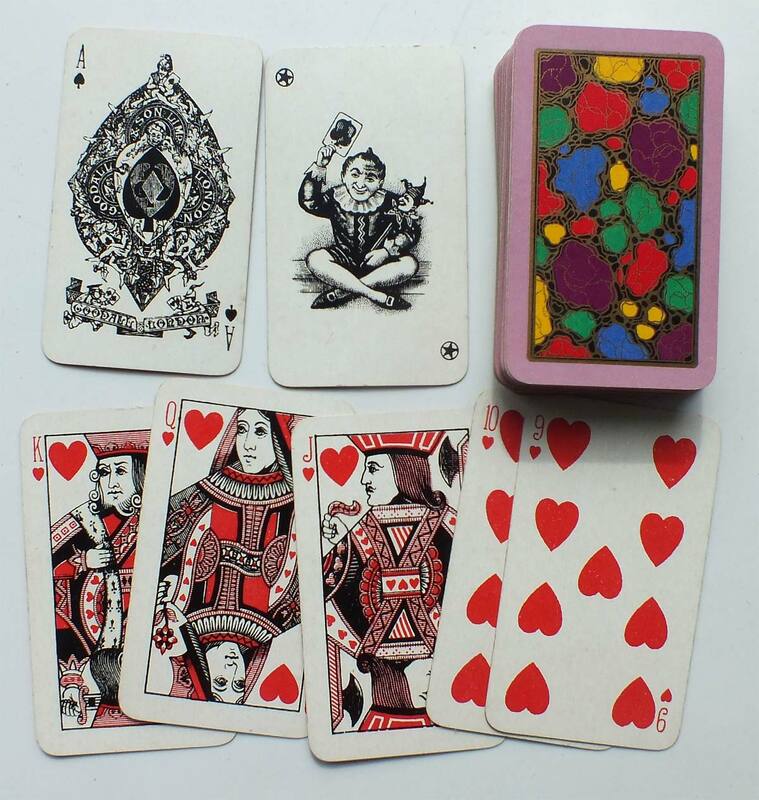 From the late 19th century, until after their take-over by Thomas De la Rue, Charles Goodall and Son produced a number of popular boxed patience and miniature sets (“Patience”, “Railway”, “Tom Thumb” & “Elfin”) with ornamental designs on the backs. 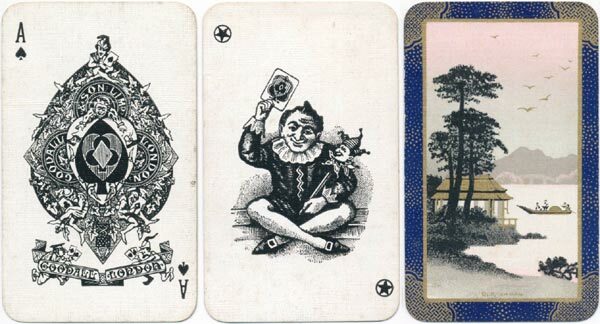 The cards were widely produced in two-colour court variations, and less commonly in three-colour court cards, and were often linen grained. 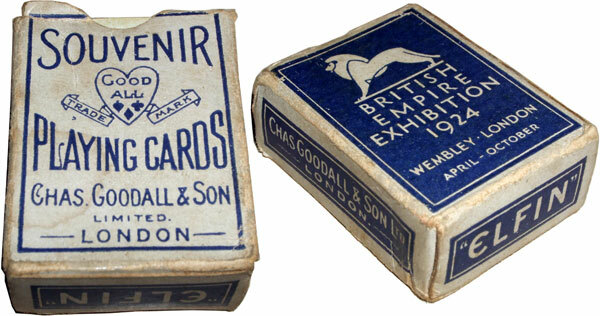 A special set was produced in 1924 for the British Empire Exhibition. 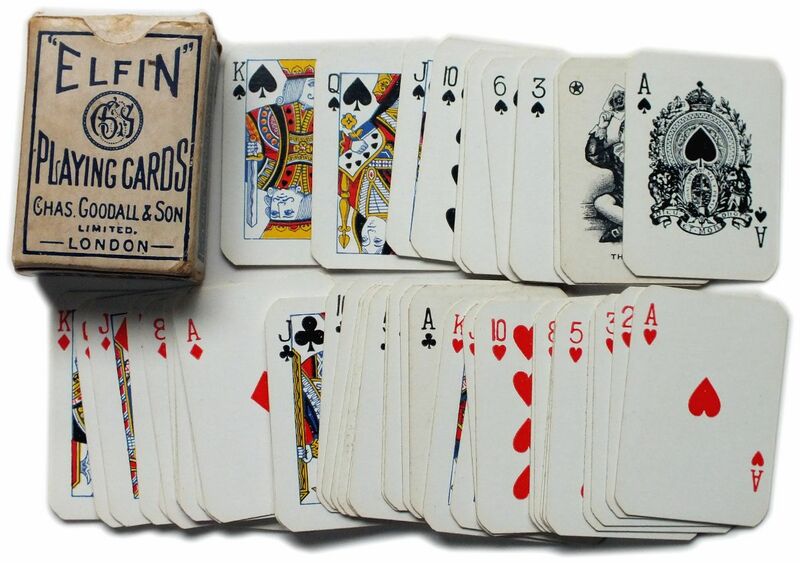 In addition, cards were produced in standard and narrow width patience sizes. 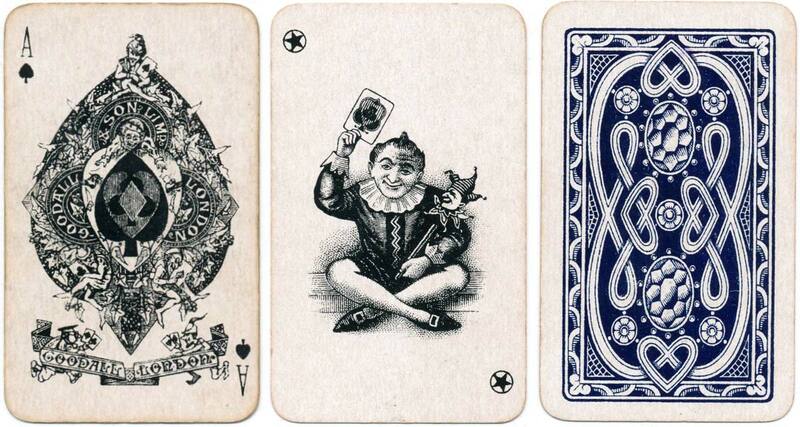 They also produced miniature versions of “Historic” playing cards, with plain or gilt edges. 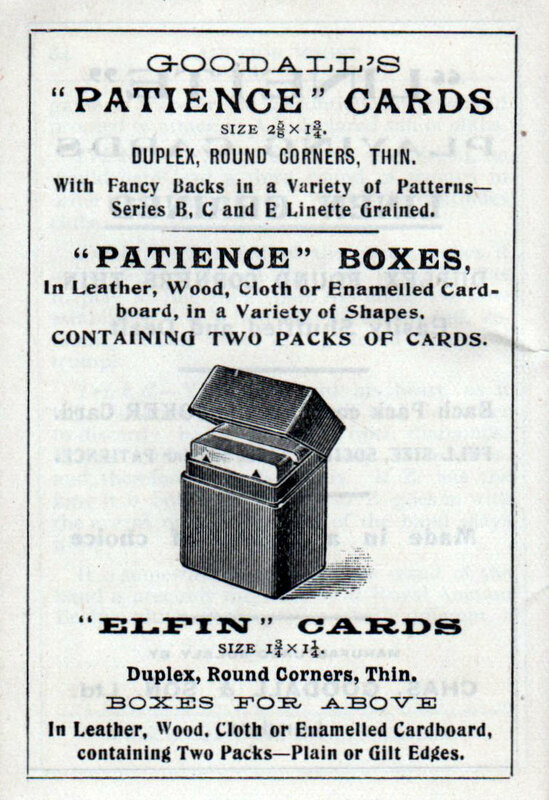 In keeping with standard packs of the time, patience packs were supplied with a single joker and a spare blank card which could be used to replace a lost or damaged card. 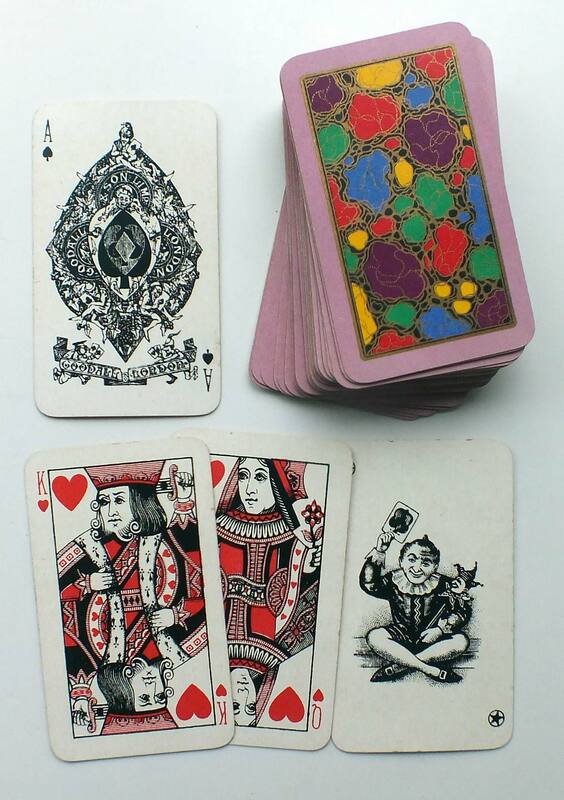 Above: assorted art nouveau and deco back designs from patience or miniature packs. Above: the less common multi-coloured courts. Above: the two colour version is more common than the multi-coloured version. Several boxed patience and miniature sets are listed in Goodall’s trade lists of the 1880s onwards, in leather or Morocco leather cases. Above: classic patience set in leather case, c.1905. 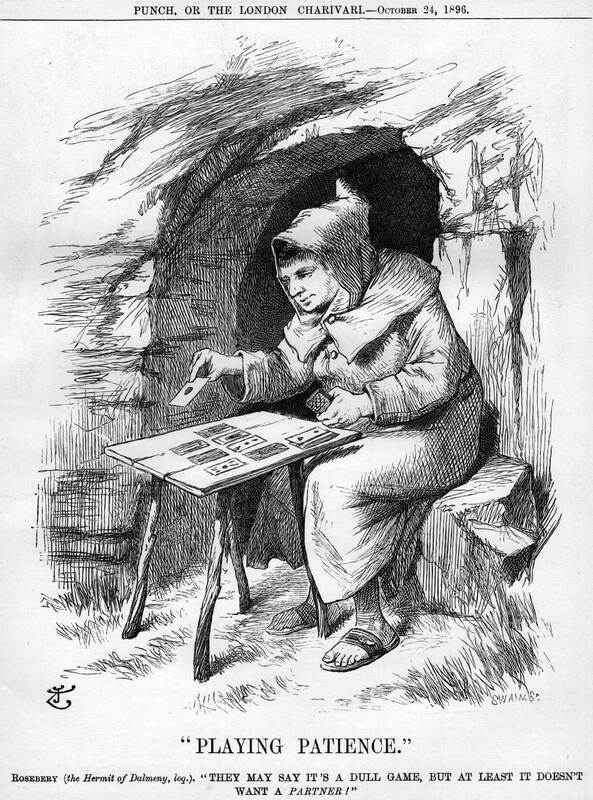 Above: the less common multi-coloured miniature patience, c.1905. 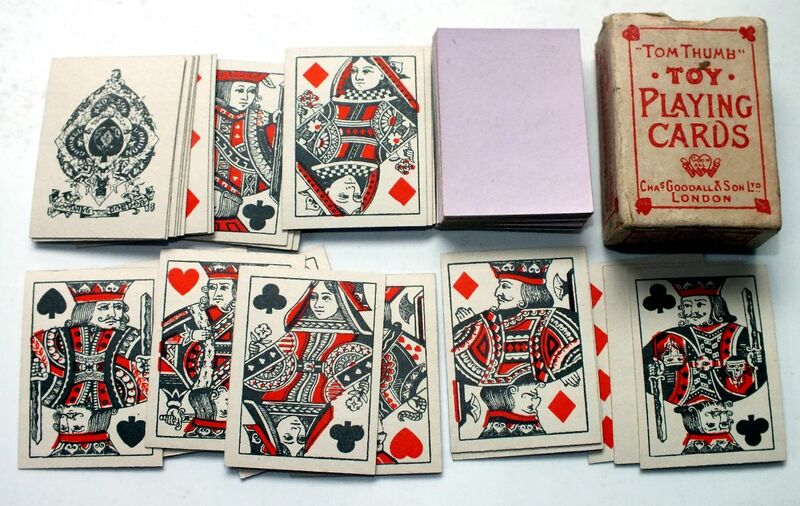 Above: boxed patience set, c.1920. 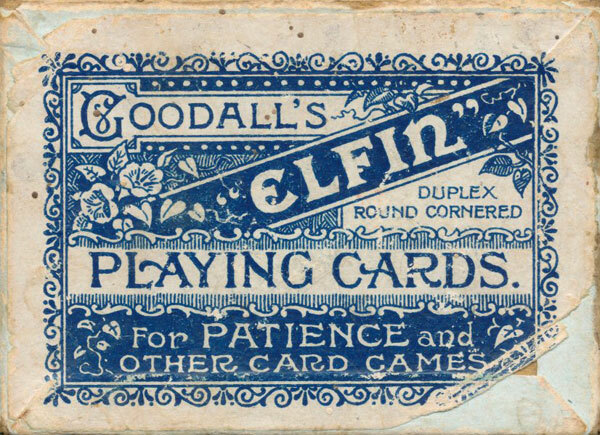 Above: box from dual set of Goodall's Elfin Duplex and Round cornered patience cards, c.1899. Image courtesy Matt Probert. 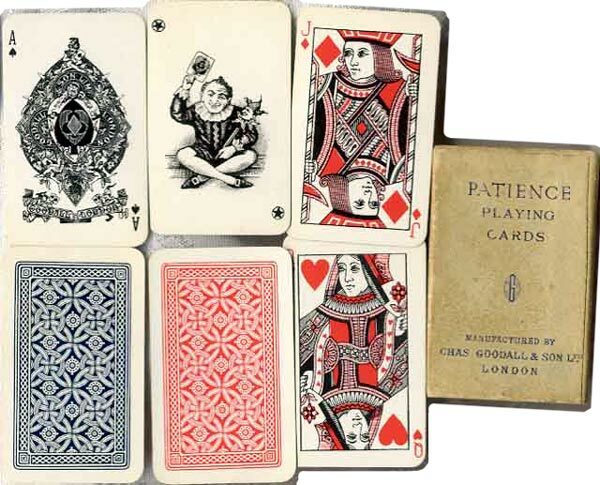 Above: early art deco patience set c.1920. Above: advert from Goodall's book on Auction bridge published in 1921. Above: Souvenir of the British Empire Exhibition, gilt edges, 1924. Image courtesy Matt Probert. 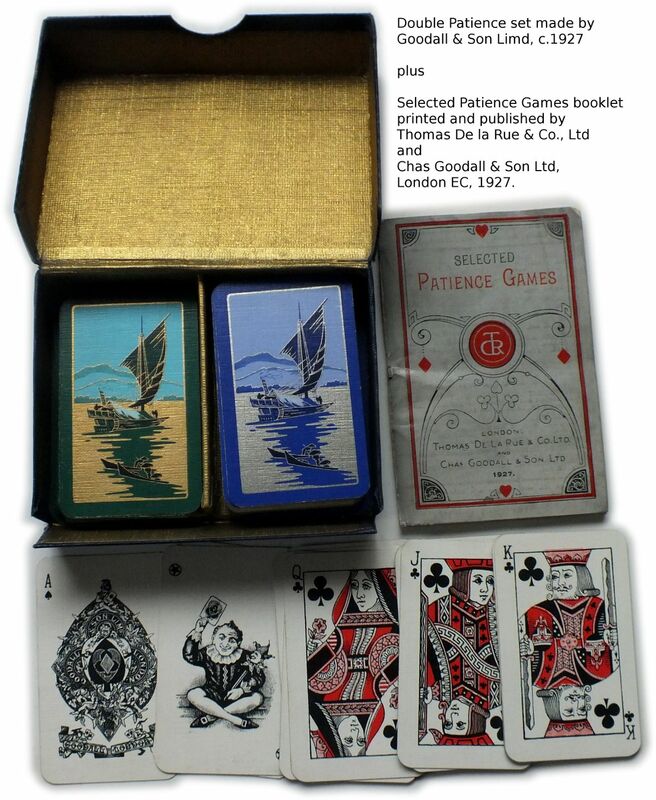 Above: Art deco patience set c.1927. Above: sets were also produced for the WD & HO Wills scheme of the early 1930s. 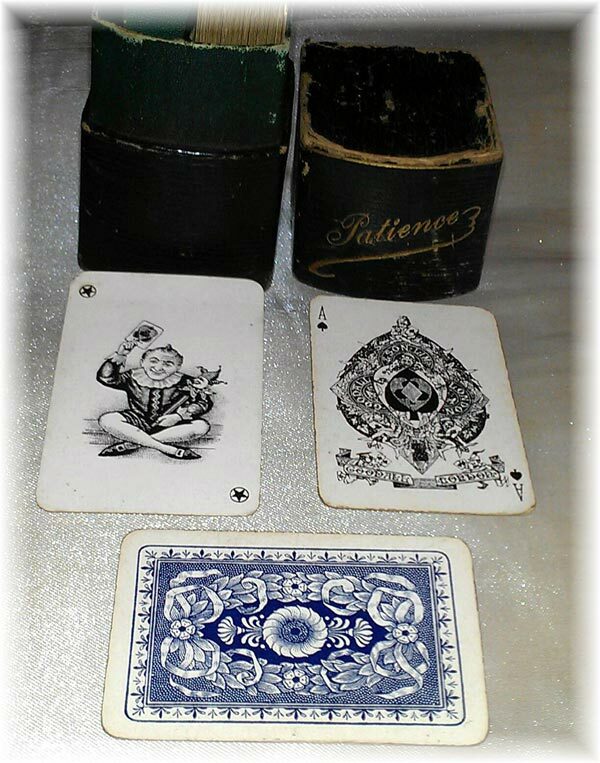 Hall, Tony: "Goodall Patience Boxes" and "Poker Patience". Download as Adobe Acrobat file (770 Kb. PDF). Thanks to Matt Probert for additional research and images.